BERLIN ON THE BRINK OF MODERNITYIn 1920, the Greater Berlin Act expanded the Berlins borders to their present state, doubling its population and increasing its area by a factor of 13. 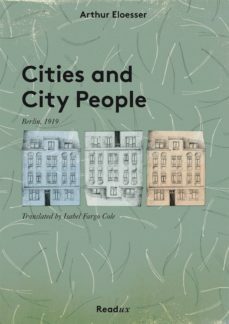 In 1919, on the eve of that change, Arthur Eloesser published a series of essays examining the evolving concept of urbanity, and the rapidly growing metropolis of Berlin. The essays presented here are elegant examples of the developing modern consciousness, and documentation of Berlin becoming the city we know today.